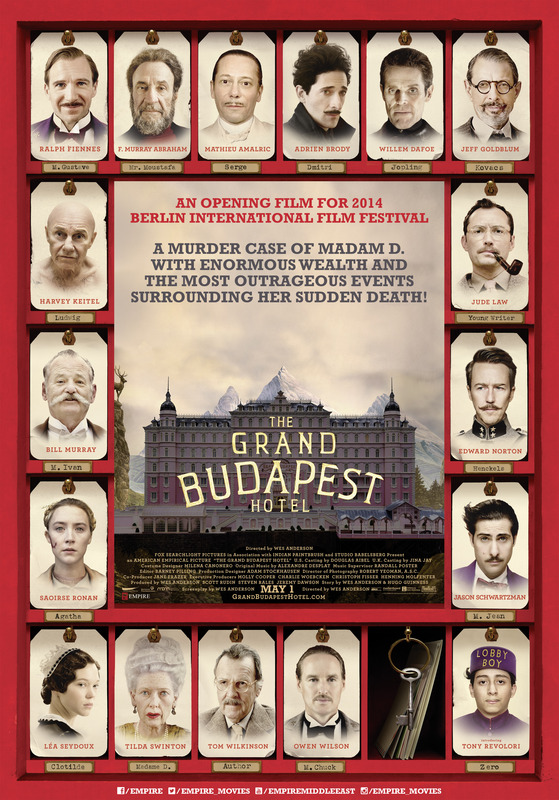 Jivewithdeepti.com and Empire International are giving 5 lucky winners a chance to win a pair of invites to the advanced screening of The GRAND BUDAPEST HOTEL on Wednesday, April 30, VOX Cinemas, Mall of the Emirates, 8: 00 p.m. Follow these simple steps to win 2 invites, courtesy of Empire International. 2). Like the page: www.facebook.com/JiveWithDeepti and share the post. 3). Answer the below question. Question: Name the Story writer of the film The GRAND BUDAPEST HOTEL. All the entries will go into a draw and the winners will be announced on 29th April. Please note the movie is only for 18+. Reblogged this on Everything YOU Need. There are TWO writers : Wes Anderson and Hugo Guinness. Story & Screenplay by Writer Director Wes Anderson and Hugo Guiness.